Our works can take up to 10 passengers, but we recommend groups of 6-8 people just for your own enjoyment. If you have a larger crowd you might want to consider getting multiple boats. All pontoon boats are outfitted with 50 horsepower motors and include a cooler, stereo, GPS, and bimini top. 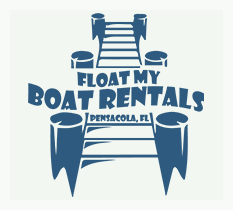 Our pontoons boats are perfect for boating on Pensacola Bay and Santa Rosa Sound, but we take weather conditions very seriously. If we tell you the weather isn’t safe, trust us, we aren’t trying to ruin your day or the plans you made with your family and friends.